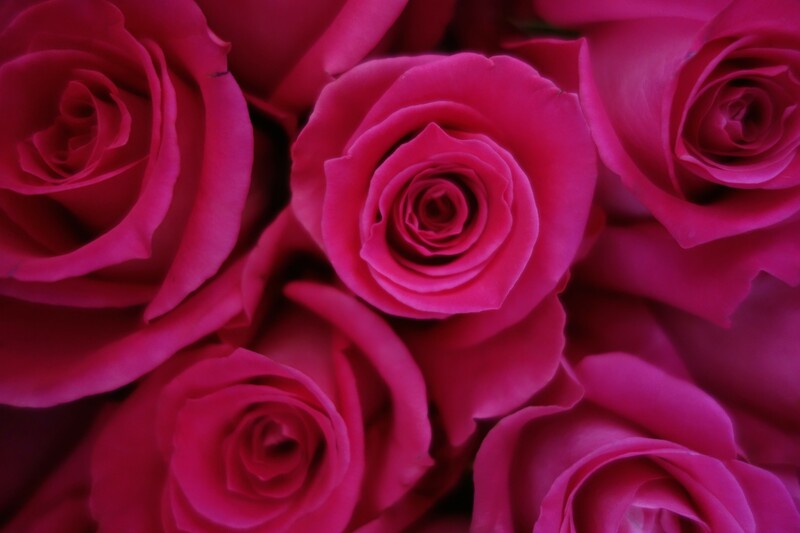 I absolutely adore having fresh flowers in my apartment. 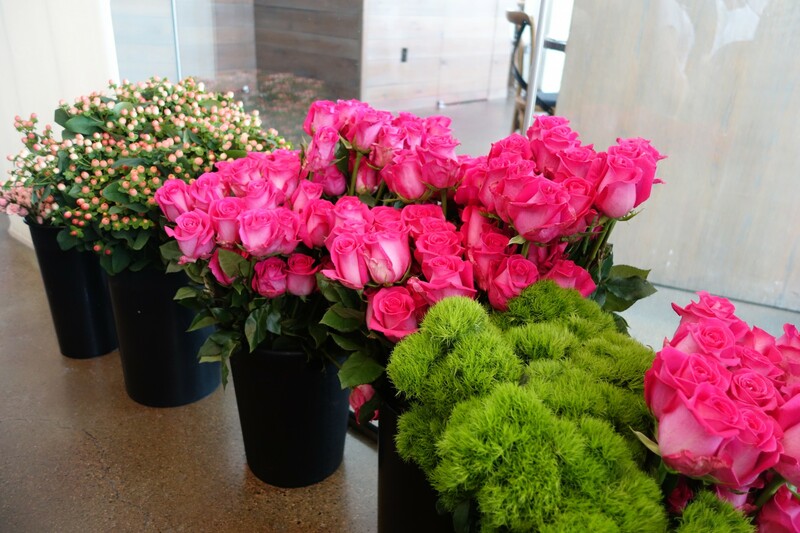 They instantly brighten up a room with color and fragrance and make the perfect table centerpiece! 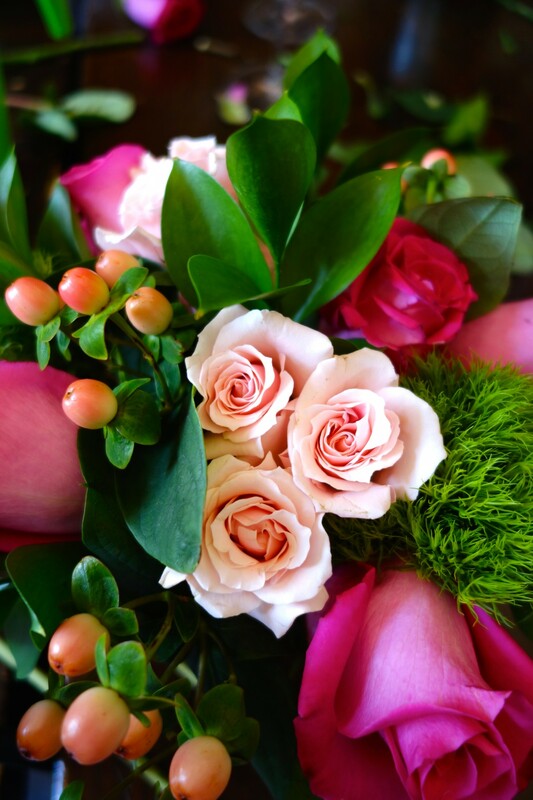 Typically, I keep it simple and grab a bouquet at one of my favorite local floral shops (you can check out my list of go-to places here), however, recently, I took a floral arranging class through Alice’s Table, and now I feel inspired to get a bit more creative with my floral skills. 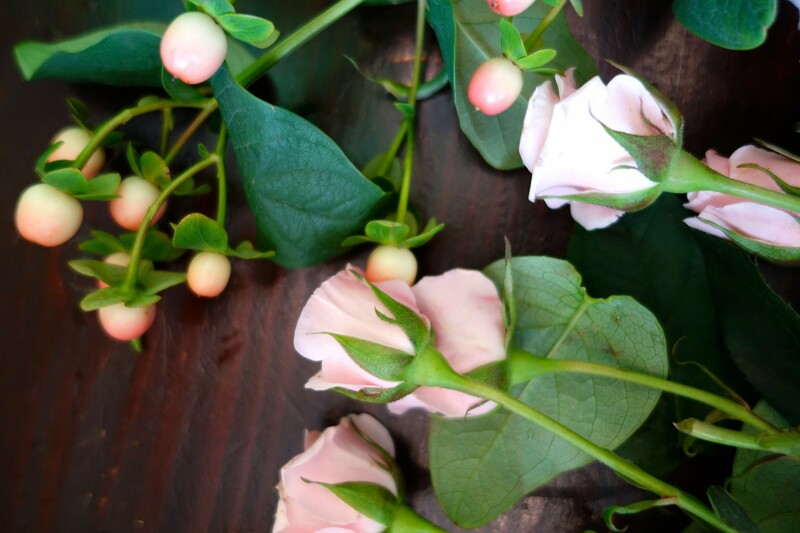 Whether you’re interested in designing your own arrangement of beautiful bright blooms or creative lush terrariums, I’ve rounded up my picks for classes in Boston. 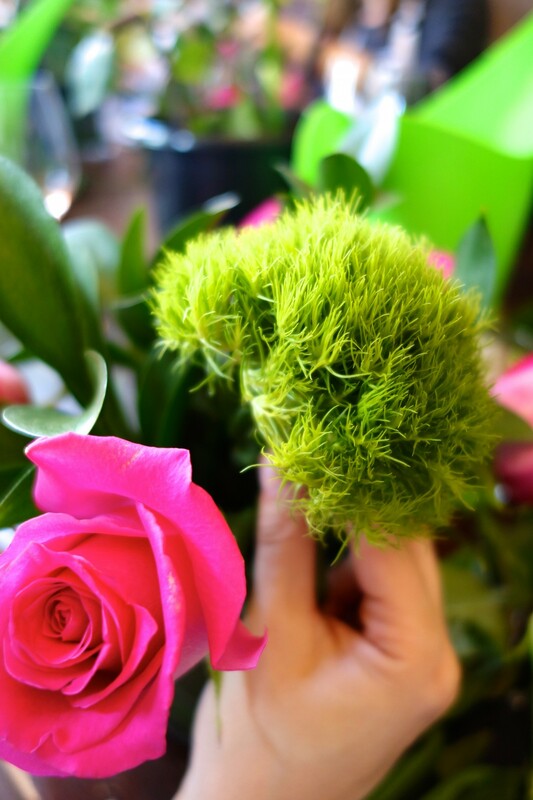 Each month, the Alice’s Table team pops up at various venues around Boston to host floral arranging classes. I had been wanting to take one of these classes for quite some time, but kept missing the window of opportunity because they sell out so fast! Finally, my friend Kate and I found an upcoming Saturday afternoon class at Trade Restaurant in Boston that we wanted to take, and without hesitation, bought our tickets. 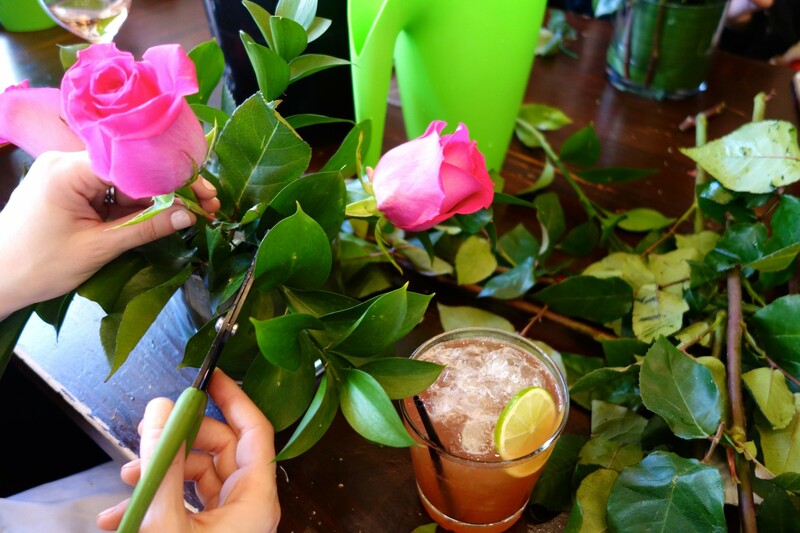 For around $65.00, you and your friends can sip cocktails and create a beautiful arrangement under the instruction of a trained floral designer. 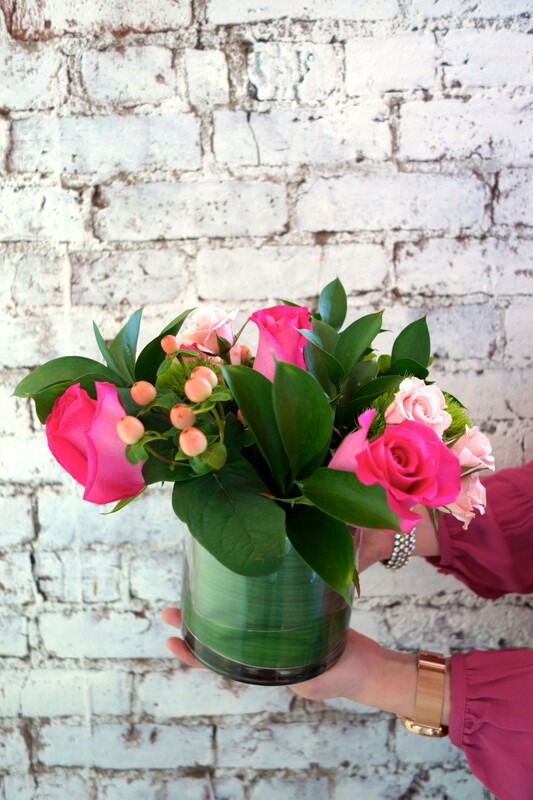 Since the class I took was focused on spring, we incorporated gorgeous greens, light pink berries, and stunning dark pink roses into our circular vase. The instructor, Michelle (you can check her out @electricflora on Instagram), gave us helpful tips on the correct length to cut our blooms, where to place them into the handy grid system that we learned how to make, and of course, insight on caring for the arrangements at home (for example: change the water every 3 days!). Creating my own arrangement was much easier than I had originally thought and I can’t wait to use my newfound skills at home. You can check out the schedule for upcoming Alice’s Table classes in Boston here. TIP: Book early and arrive early to class, as the seats fill up quick and you’ll want to make sure you and your party can sit together. Hosted at locations across the Greater Boston area. 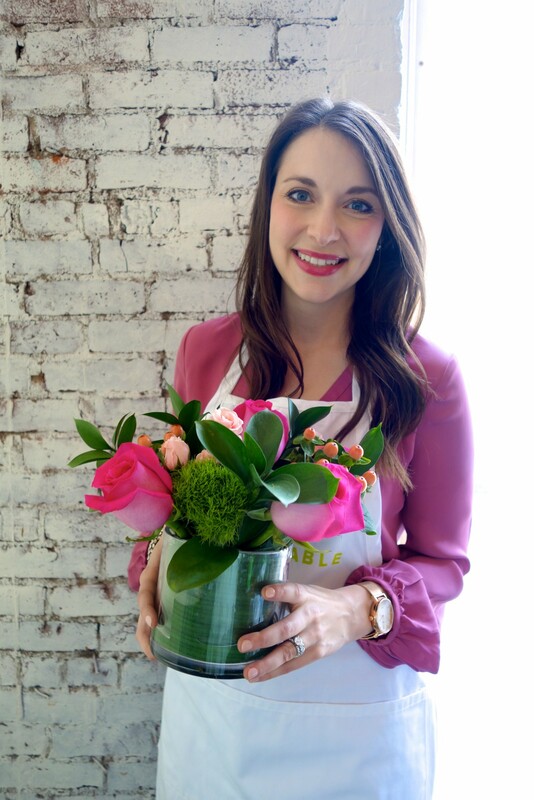 Occasionally, Table & Tulip, and Bloom Couture in the South End host classes. I took an amazing holiday wreath class at Table & Tulip last winter and I would highly recommend it! 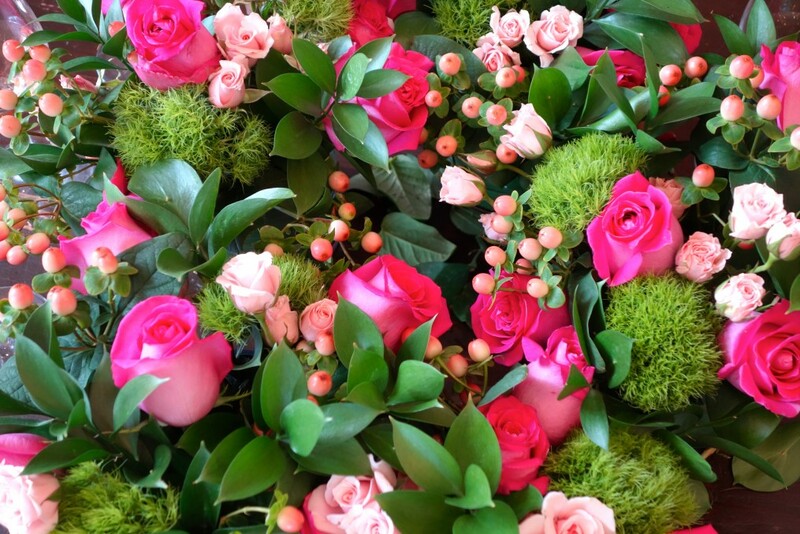 If you’re looking for a great deal on a floral class, check out Gilt City Boston, as the classes are often offered at a discount.